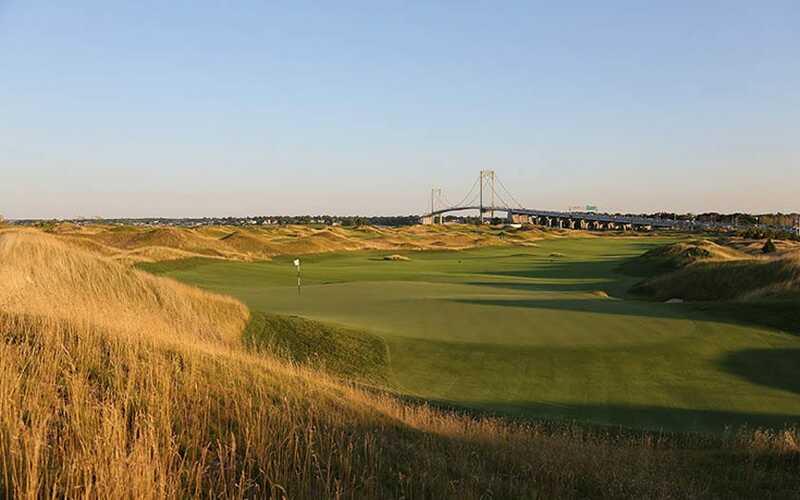 America’s most expensive golf facility is about to open in New York, the first public course in the city for 52 years. 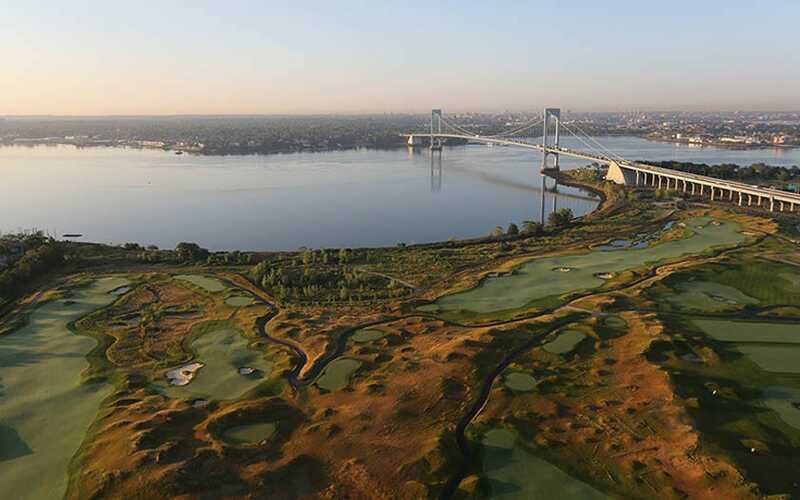 The municipally owned Trump Golf Links at Ferry Point, built on a 222-acre former landfill site in the Bronx, has been 20 years in the making, cost $269 million to build and boasts a Manhattan skyline visible from most of the course. 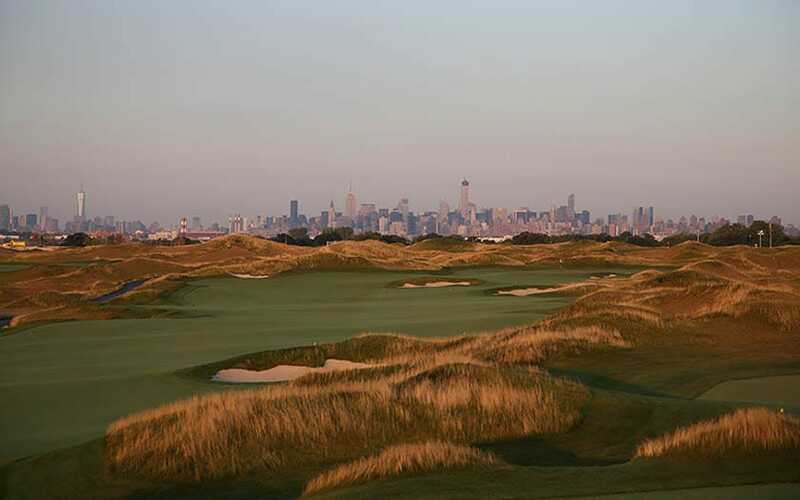 When it opens on April 1, residents of New York City will pay a green fee of $141 (£95) for a round, rising to $215 for non-residents on weekends. The links-style course features dunes more than 50ft high and no trees. A temporary club house is expected to be replaced by a permanent $10 million one next year. It was designed by Jack Nicklaus who has been involved in the project for a decade. 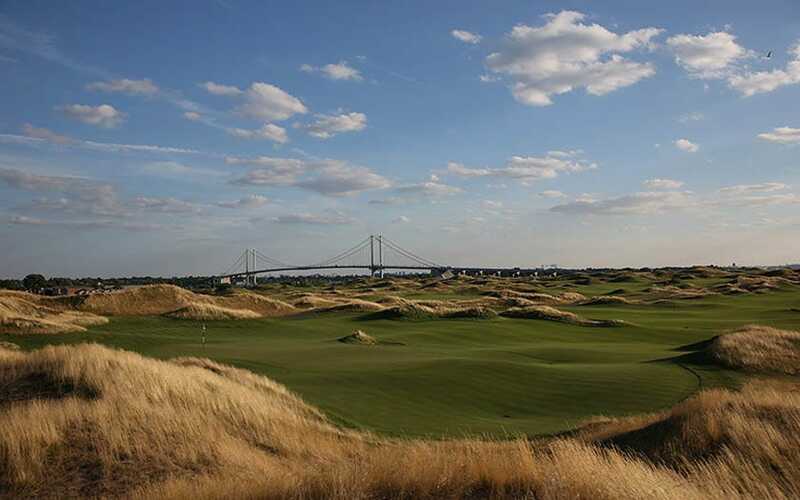 He said: “Ferry Point was created to be a unique public golf experience, and it is our collective hope that the golf course will add to New York City’s global reputation, enhance New York’s reputation for quality golf, and give its proud residents a place to play and call home. The city hopes to attract a major championship – a US Open or PGA Championship. According to a preview of the course from Golf.com its “best attribute is its unique and unforgettable location occupying one of the most remarkable tracts in golf”. It said the most memorable hole is the 487-yard, par-4 16th, which has 360-degree views.